I was going to skip today’s post because I’ve been sick, then got pink eye, and just to not feel left out my 2 year old son decided to get pink eye and puke on me all in the same day. That warrants skipping, right? But I made a deal with myself and can’t skip…. I’m sticking to my guns. So bear with me…. this one may not be all that good. Have you ever had one of those nights where you had no clue what you were going to make for dinner and then while wandering the grocery store you happened upon one of those demo ladies who made something really tasty and you knew at that moment you found dinner? Or maybe that just happens to me. Anyway she handed my daughter and I this little cup of magic. 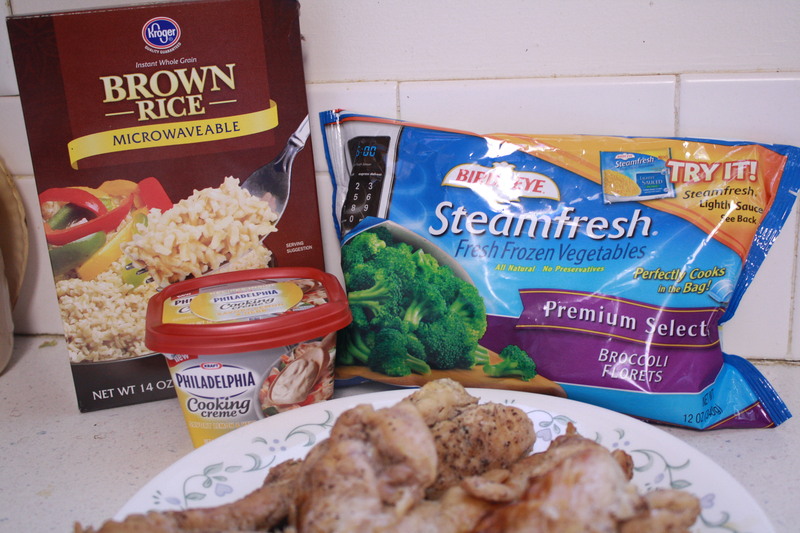 Chicken, rice, broccoli, and Philadelphia Lemon Herb Cooking Creme. YUM! She gave me complete instructions and we were on our way to a tasty dinner. 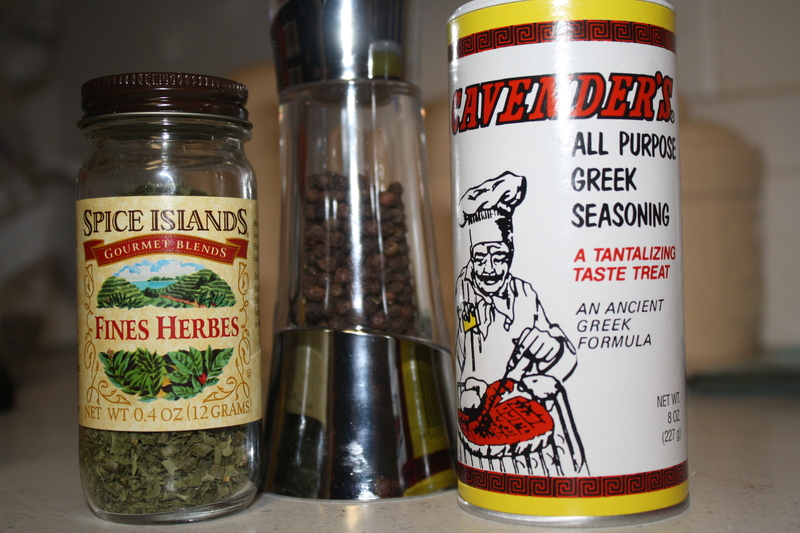 First of all I was surprised how good the delicious the Lemon Herb Creme was…. smooth, a bit of lemon flavor… not to much though, and fresh herbs. Honestly, I don’t think that I could have done better with a sauce. We’ve tried a couple of the other Philadelphia Cooking Creme’s and they were good too but not on the same level as the Lemon Herb. The ingredients are super simple. 2 cups of rice – white, brown, instant, or not. You could even use the precooked rice. Season and brown the chicken and when it’s down set aside to cool a bit so you can cut it up. While the meat is cooking get the rice started as well as the broccoli. 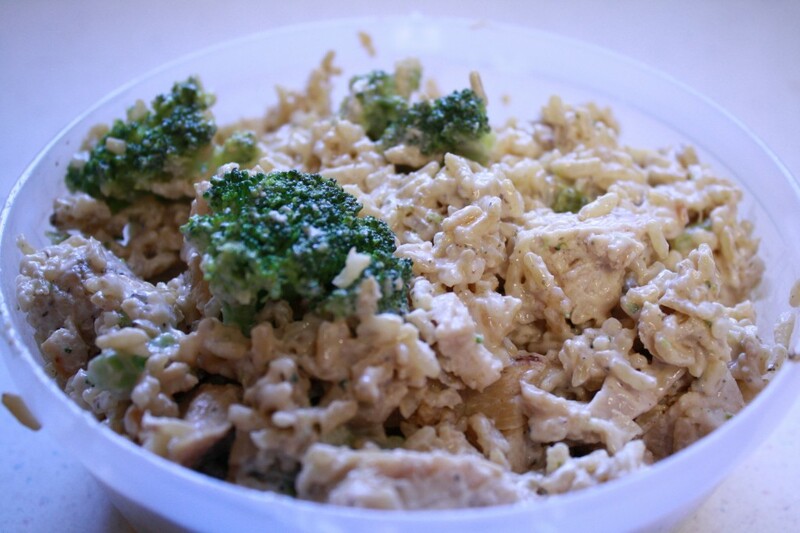 So here comes that last easy step… mix the rice, chicken, broccoli, and Cooking Creme all together and let simmer on low for a couple minutes. Season with salt and pepper if you think it needs it. I had my camera sitting on the counter so I could take all the pics that I needed and then…. then I forgot about it. It wasn’t until I was putting the leftovers into a dish that I realized that I hadn’t got a picture of the finished product. Sorry…. but this time all you get are the leftovers. 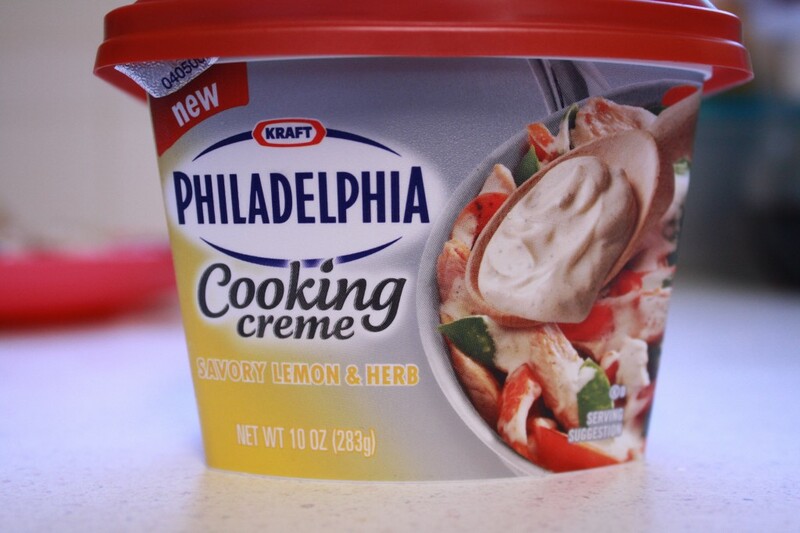 Have you tried the new Philly Cooking Creme’s yet? Which one is your favorite? I wasn’t paid to talk about the Philadelphia Cooking Creme’s or even give a sample to try out but I would be more than happy to if they were to send me some! This are purely my thoughts and opinions on a tasty sauce. Welcome back to Monday!! Now, don’t get me wrong I still feel that Monday should be part of the weekend, but since I can’t change the way the world seems to run the next best thing would be to fake being be happy about it. Lately, I’ve been on a hamburger kick for some reason… mostly in search of the best hamburger that a restaurant has to offer. 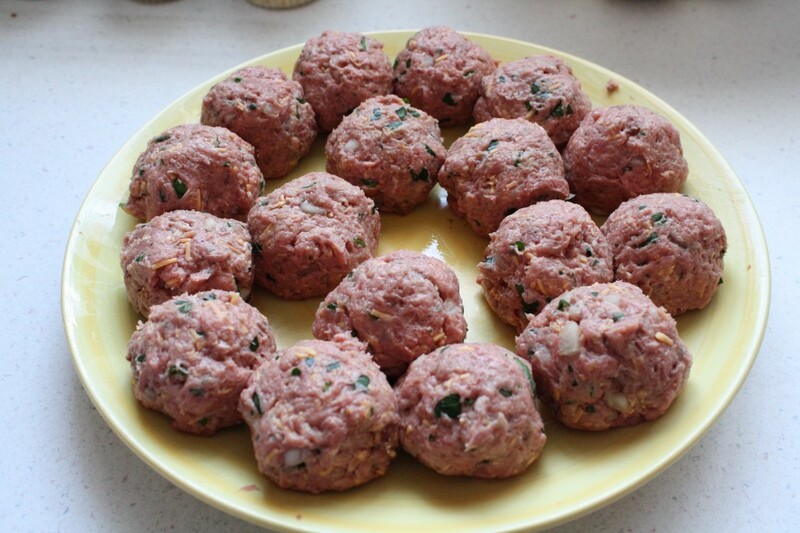 I try to make burger but it seems that everyone can make a burger better than me so this week I made meatballs instead. I know… I know… they’re almost the same as a burger, but it’s just not the same. These meatballs are based on the recipe for meatloaf that I made a couple of weeks ago from the Pioneer Woman but with a few changes to make it even better after a phone call I had with my sister. We call each other to plot out what we can make for dinner or what kind of unique recipe we can create. It’s a fun game really… that and pondering all the great meals we’d make if we were closer that our families won’t eat. 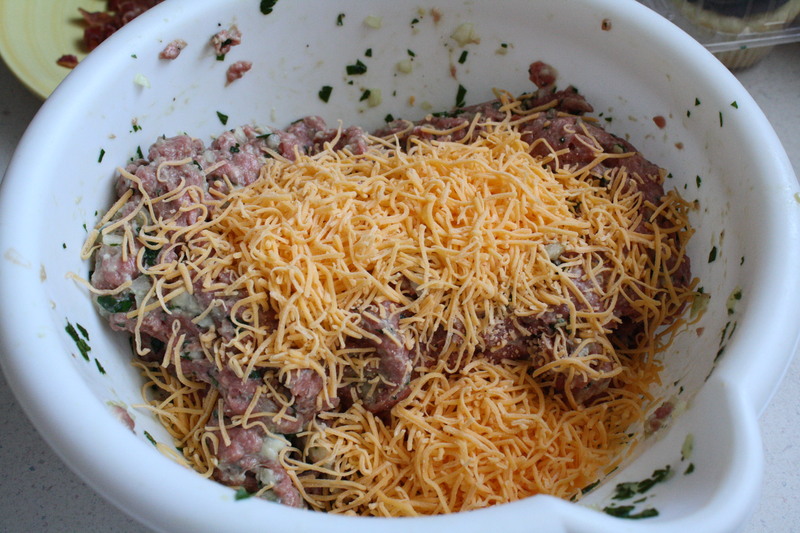 Follow the directions that the Pioneer Woman has for meatloaf in her recipe, leaving out the parmesan cheese. 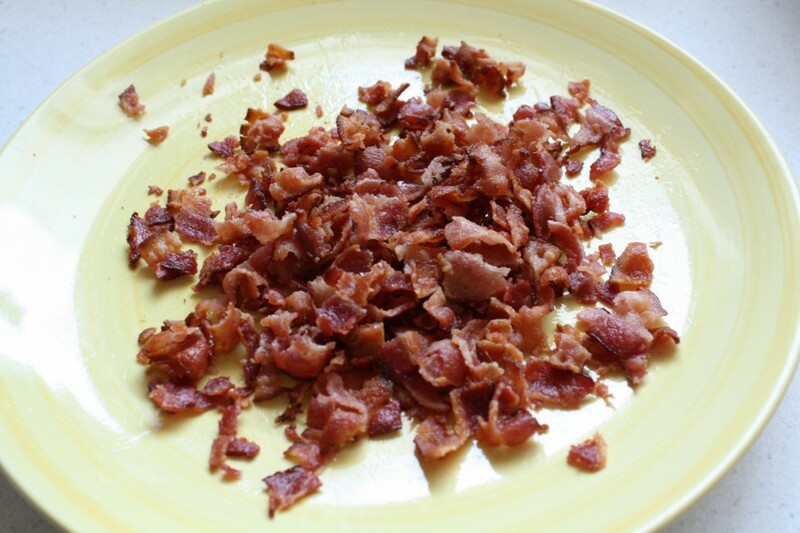 But before mixing it all together there are a few special ingredients that you need to add in…..
Bacon! why… everything is better with bacon! 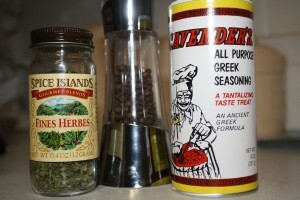 Add these two amazing items in and you have bacon cheeseburger meatballs! Now roll it into a meatball shape, get your hands a bit wet with cold water to help keep the meat from sticking to your hands helps. 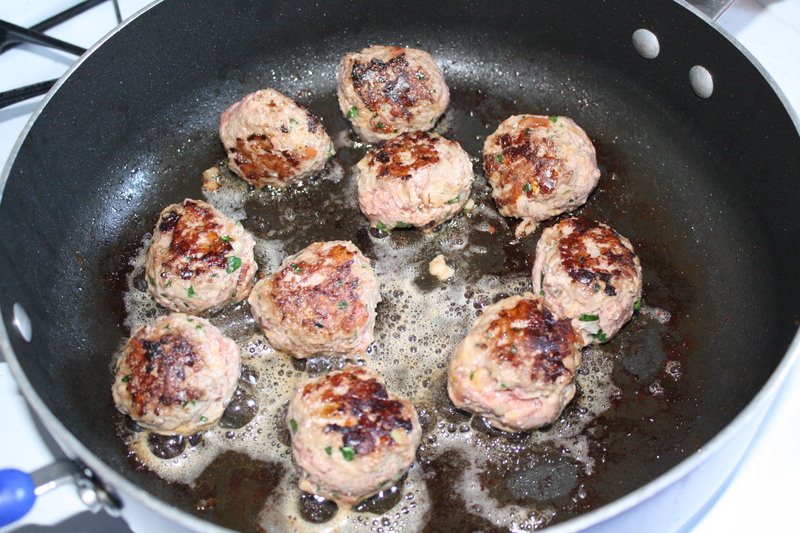 In a large skillet brown the meatballs in batches so you don’t over crowd them. When you have all of the meatballs browned finish them off in the oven for about 20 – 30 minutes depending on how big they are. 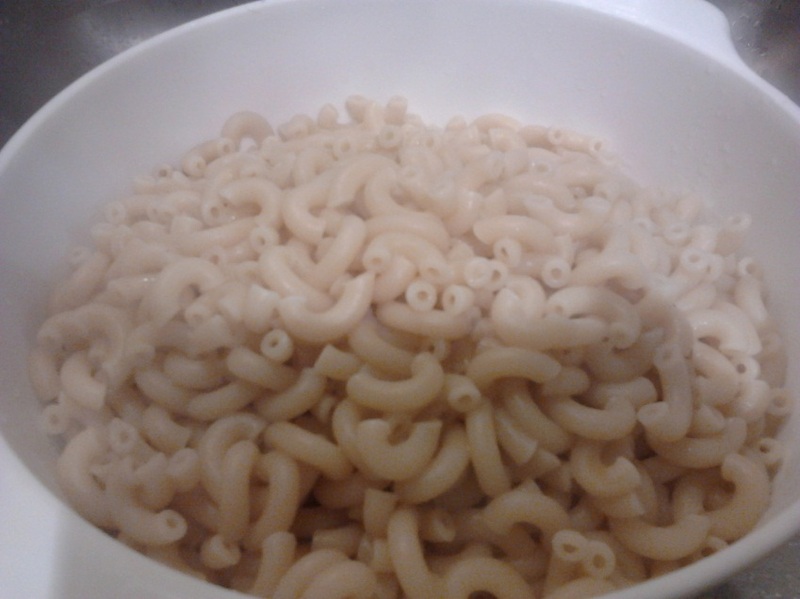 While the meatballs are in the oven start the mac & cheese. 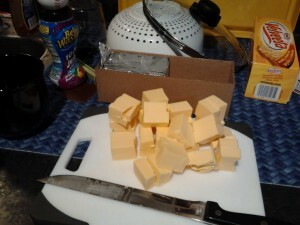 Now you can use your favorite recipe or you can check out mine… Okay… it’s not really mine. 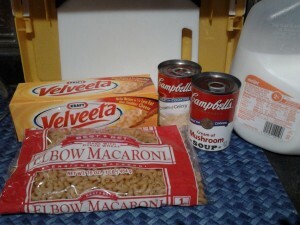 But it is my go to recipe and I’m always adding this or that, changing it up for something different. 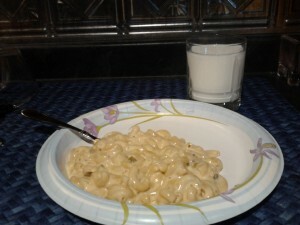 For this meal I left out the broccoli and chicken and used 3 different kinds of cheddar cheese. YUM! Creamy…. 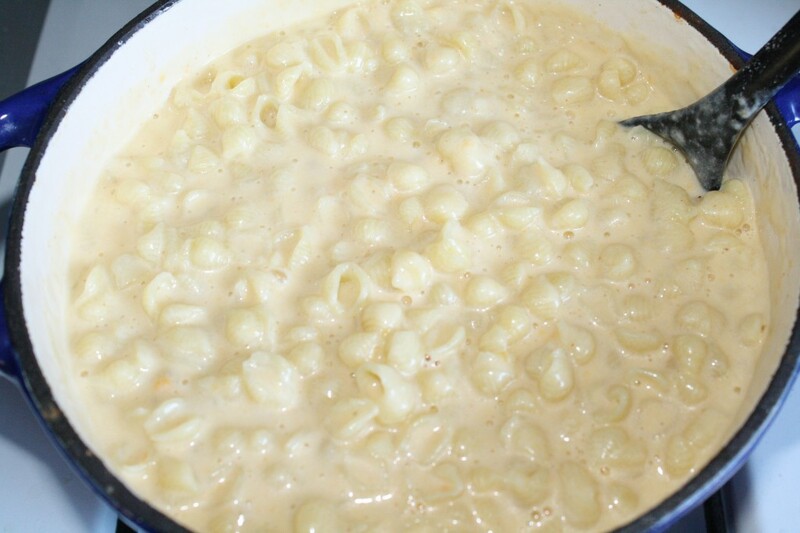 smooth… perfect… that is how I would describe this mac & cheese. Now the meatballs I served with the sauce that the Pioneer’s Woman recipe uses to top the meatloaf, veggies, and of course the mac & cheese. And the best part…. the family loved it all! Do you take a recipe and change it up? What is one of your favorite go to recipes? 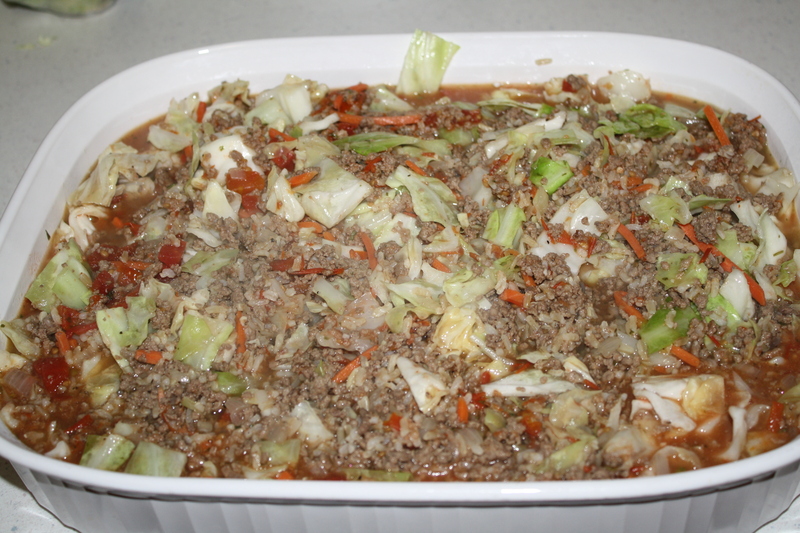 One of my dishes is stuffed cabbage rolls, but they are a lot of work and take so much time that I rarely make them. 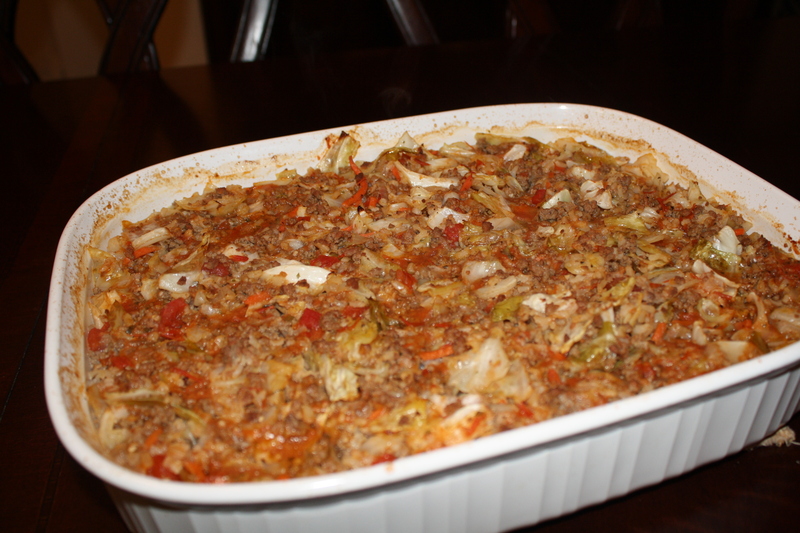 Instead of the traditional cabbage rolls I’ve been making stuffed cabbage casserole! It’s just as delicious and it takes half the time which means that I can still make it after work during the week. I won’t say that this is one of those 30 minute meals though… it does take a little time. Spices – Now you can use just about any spice that you want I think. Thyme, oregano, basil, savory, or rosemary are all fine it all depends on the flavor that you want. Brown the meat and when it’s almost done add in the onion, garlic, and bay leaf. Once the onion is cooked, it’ll look translucent, add in the rice, broth, and seasonings and stir until it is combined and then add in the cabbage. You will need to make sure that you have a large pan to fit everything in! Stir this up and then add in the tomatoes. 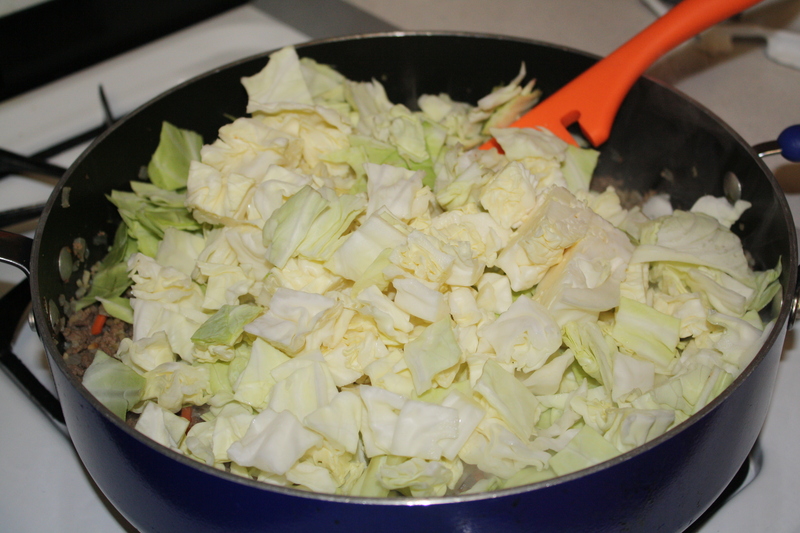 It will seem a little soupy but don’t worry because it will all be soaked into the rice and cabbage. Once you have everything combined pour it into a 13×9 pan and cover tightly with foil. Bake for about an hour, uncover and stir, and then bake for another 15 – 30 minutes. When it’s done remove it from the oven and enjoy with fresh bread and a salad! What are some of your favorite go to casseroles for dinner? Welcome back to another episode of the Monday Menu! One of these days I will get to making a cute button for this feature and make it all official like. Today I have a special guest for you and I was so happy when she agreed to guest post for me! Please give a warm & magical welcome to Gigi from Kludgy Mom! She has a great recipe that I know you’ll all want to make for dinner this week. 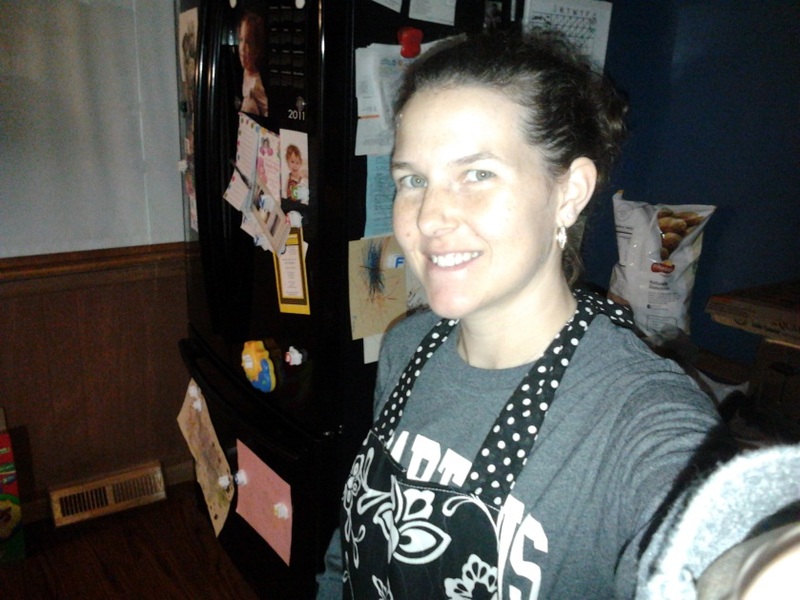 Thank God for Jackie Cross, because she asked me to guest post for her Menu Mondays eons ago and the guilt of not doing that in a timely fashion inspired me to head back into the kitchen after a long hiatus! As one of the founders of #winebuzz, I find myself with a lot of wine around my house all the time. If I drank every last drop of every last bottle we sample, I’d be on Intervention, so I started looking around for some great recipes that use wine as an ingredient. This recipe is from Cooking Light. 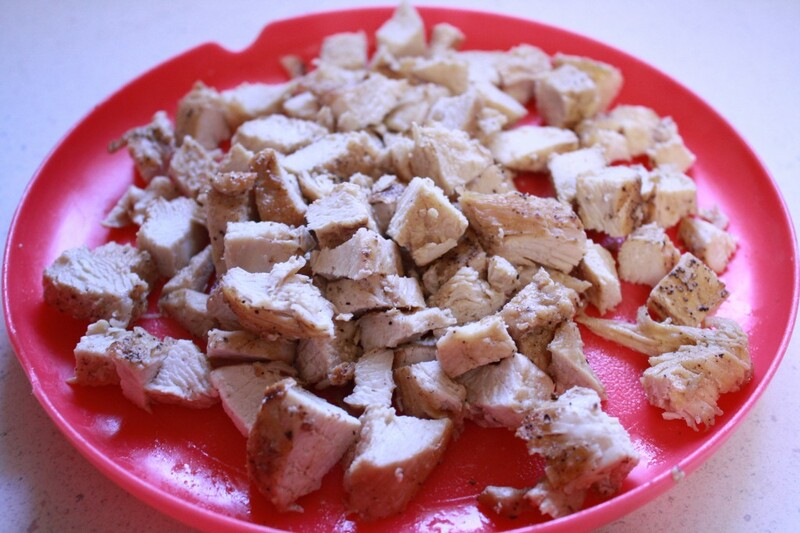 I like cooking chicken breasts because they’re easy and fast, and this recipe delivered both. 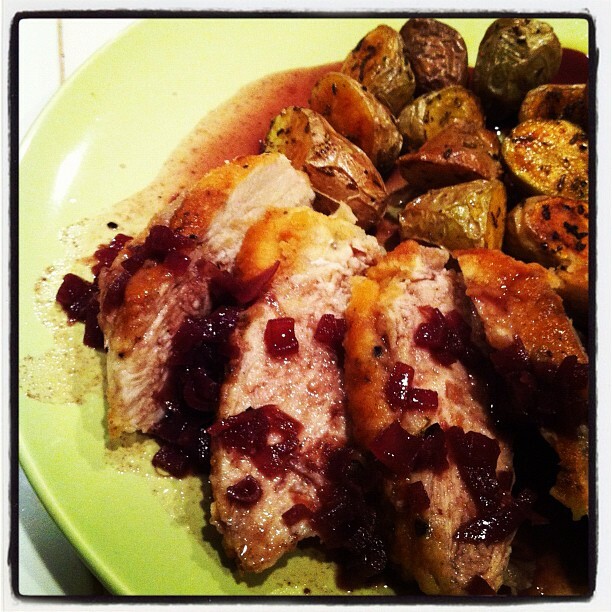 The Pinot Noir sauce is super flavorful, but not overly heavy like most red wine reductions. You can prep the potatoes and pop them in the oven while you cook the chicken and the sauce, and be done in less than 45 minutes. I don’t eat a ton of fingerling potatoes (they are a little pricey) but these were delicious. And the biggest bonus? One breast with sauce + some potatoes is a measly 500 calories. More room for fudge!! 2. Sprinkle thyme, 1/4 teaspoon salt, 1/4 teaspoon pepper, and rosemary evenly over chicken. Dredge chicken in flour; shake off excess flour. Heat 1 1/2 teaspoons oil in a large skillet over medium-high heat. 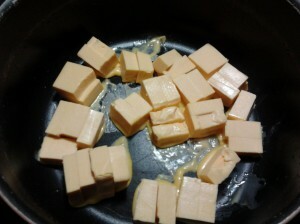 Add 4 chicken breast halves to pan; cook 2 minutes or until browned. Turn chicken over; cook 1 minute. Remove chicken from pan. Repeat procedure with remaining 1 1/2 teaspoons oil and remaining chicken. Arrange chicken in a single layer on the rack of a roasting pan coated with cooking spray; place rack in pan. Bake at 425° for 12 minutes or until a thermometer inserted into thickest part of chicken registers 160°. Remove from oven. Cover and let stand 10 minutes. 3. Heat a medium saucepan over medium-high heat. Coat pan with cooking spray. 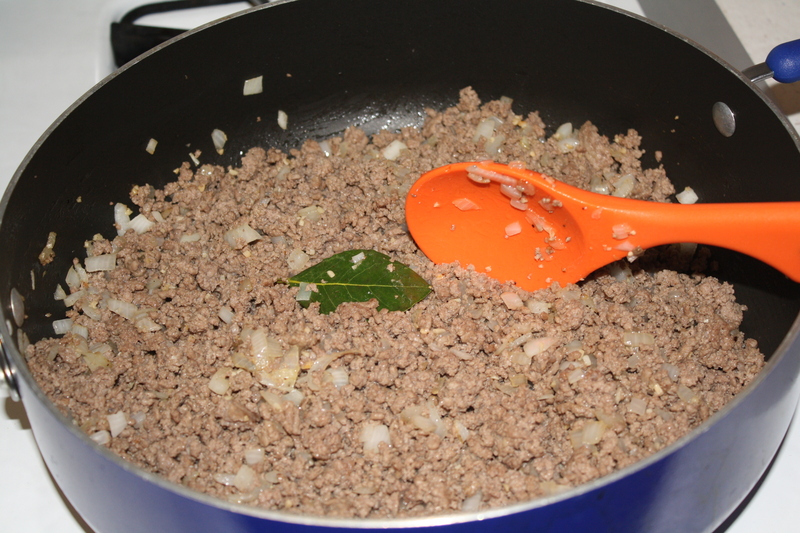 Add shallots to saucepan; sauté 30 seconds, stirring frequently. 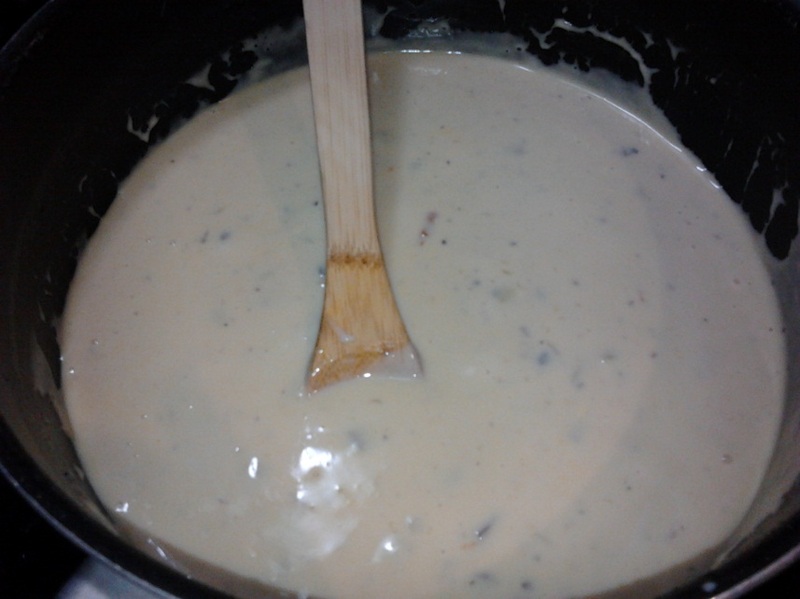 Stir in wine, scraping pan to loosen browned bits. 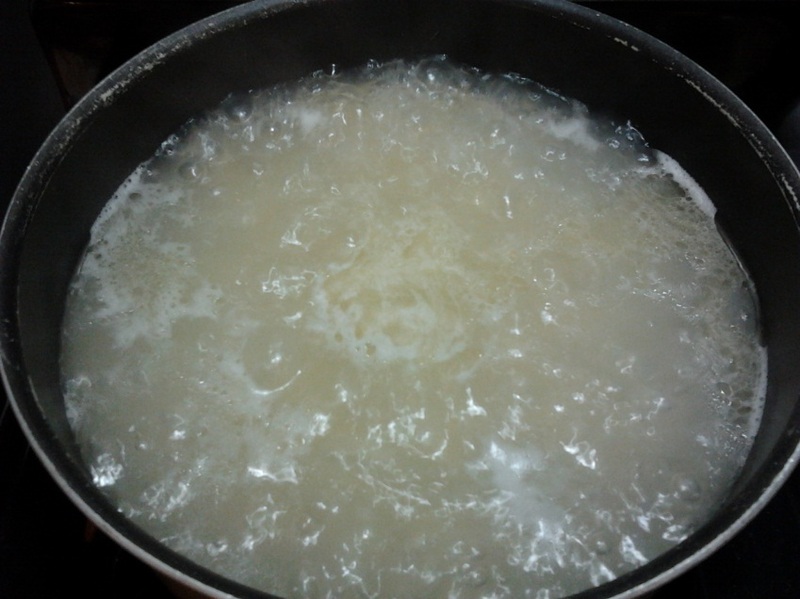 Increase heat to high; bring to a boil. Cook 10 minutes or until wine is reduced to 1 cup. Add broth; cook 16 minutes or until broth mixture is reduced to 1/3 cup. Remove from heat; stir in remaining 1/4 teaspoon salt, remaining 1/4 teaspoon pepper, and sugar. 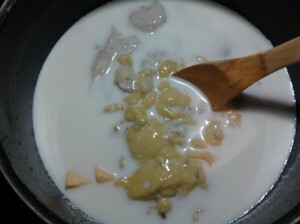 Gradually add butter, stirring constantly with a whisk until smooth. Serve sauce with chicken. 2. Place potatoes on a jelly-roll pan. Drizzle potatoes with oil; sprinkle with salt, rosemary, and pepper. Toss to combine; spread into a single layer on pan. Bake at 375° for 30 minutes or until lightly browned and tender. Monday Menu ~ Homemade Mac and Cheese! With all that’s been going on with my dad & trying to get in the minimum number of words every day for NaNoWriMo I’ve been finding it hard to find time for my blog. So to help I reached out to a few friends and asked if they’d want to share a great recipe with everyone! Today on the Monday Menu we have a great friend of mine who also happens to be from Michigan! Welcome Rusti from My Life as an Officer’s Wife! 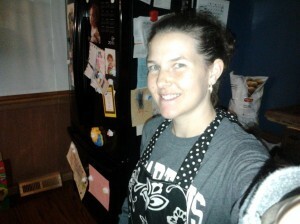 Take a few moments to check out her blog or follow her on Twitter. Second, I’ll tell you what I’m making – and why it’s one of my favorites J This is the recipe for my mother-in-law’s homemade macaroni & cheese. It’s fairly unconventional, it’s delicious, and it might be the only thing that I make that Hubs never comments that it’s “not like his mom’s” 😉 It’s also so simple that it’s impossible to do it wrong! Perfect for me!! 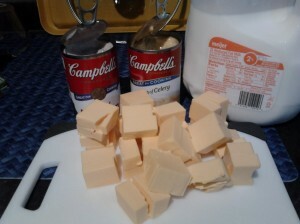 *either soup could be subbed with a different cream soup, I just can’t guarantee how it will taste, I’ve never differed from this recipe! 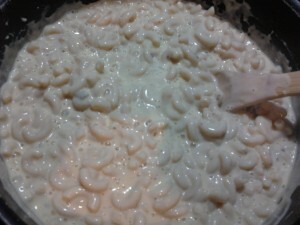 If you are not lazy or starving – you can do as my mother-in-law always did, which was to layer more chunked cheese, mac & cheese mixture and milk into an oven-safe bowl and bake for 30 minutes or so. 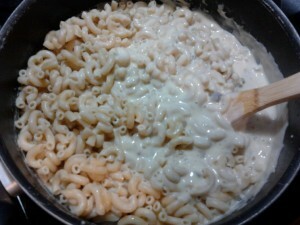 This makes the top golden brown and the whole mixture is bubbling-hot & tasty. 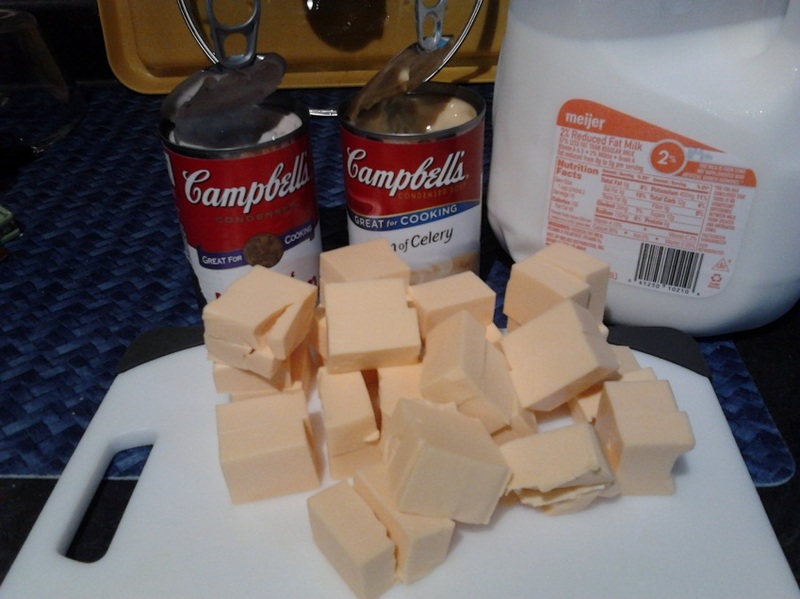 I hope you try my recipe, and love it! Please let me know if you do, and if you try any other variations and how it turned out! I’m always interested to hear what people like! Last weekend we had a huge lunch at Red Lobster and when dinner time rolled around nobody was really hungry. Right. 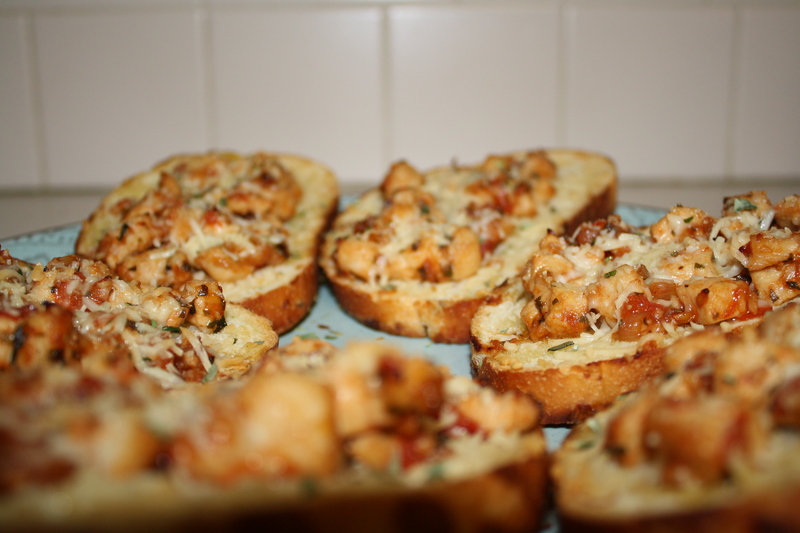 Knowing better I figured I’d make something small and appetizer like and in came the chicken bruschetta recipe I created. When I made this I totally winged it! I knew what I wanted the end product to be and went from there. Below are all the ingredients that I used but feel free to change it up and make it your own! Heat olive oil in a pan & saute shallots, garlic, and chicken. Once the chicken is mostly cooked add in the tomatoes and cook for another minute or two. Pour in the wine and cook until it’s mostly evaporated. Season with salt, pepper, and basil. Place the bread slices on a baking sheet and put a spoonful or so on each. 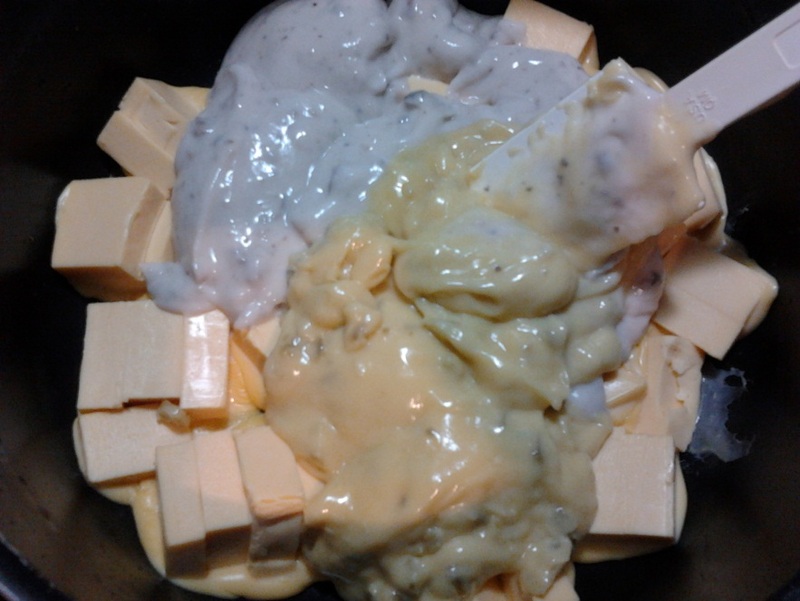 Top them with the shredded cheese and drizzle with a bit of olive oil. Bake for about 10 minutes or so.